On October 5, 1802, Haitian soldier Suzanne Bélair, called Sanité Bélair, was shot with her husband by the French. This “tigress” is the most famous of the Haitian Revolution’s numerous female protagonists. A free black woman, she married Charles Belair, the nephew and aide of the man who in the 1790s established pre-eminence on Saint-Domingue — Toussaint L’Ouverture. L’Ouverture tragically vacillated when the French made their move in 1802 to reverse the revolution’s gains and re-establish slavery, but the tigress rallied General Belair to take the field in resistance — and not only rallied him, but fought alongside him as a regular in his army, attaining the rank of Lieutenant. 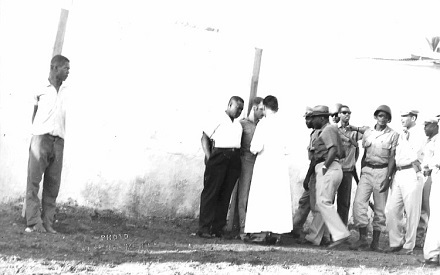 On this date in 1964, the last two members of a noble and doomed rebel movement against Papa Doc Duvalier were shot in a repellent carnival outside the Haitian capital’s national cemetery. Taking to heart Machiavelli‘s maxim that it is better for a sovereign to be feared than loved, Papa Doc buttressed his rule with a vicious paramilitary force. Some 30,000 Haitians are thought to have been murdered during his 14-year reign, and many thousands of others fled into exile. 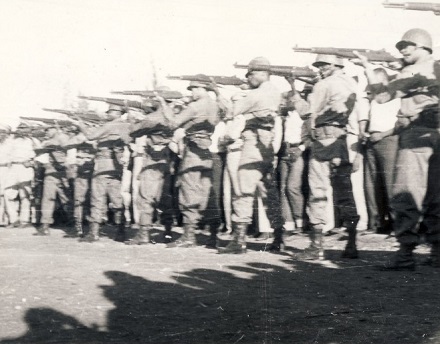 The Cuban example — a few plucky armed men in the mountain somehow toppling the ancien regime — must have inspired the U.S. exiles of the so-called Jeune Haiti. Certainly they did not want for the guerrilla’s raw courage and hardiness. In some alternate history their tramping through southern Haiti’s hills under the barrage of Hurricane Cleo is the stuff schoolchildren recite. Under the eyes of this curious throng and the whirr of cameras, Numa and Drouin were lashed to pine poles by the Tonton Macoutes. 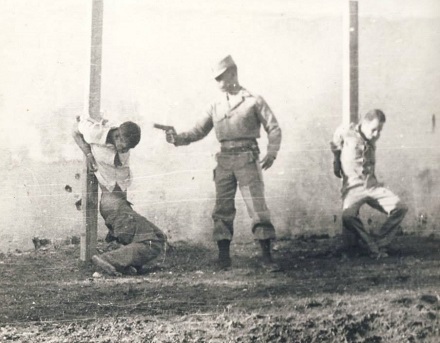 Un-blindfolded, they received the whispered last rites of a Catholic priest, and then were shot dead by a firing detail. When the men’s bodies slide down the poles, Numa’s arms end up slightly above his shoulders and Drouin’s below his. 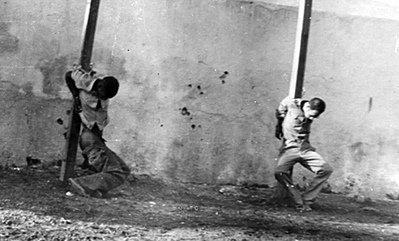 Their heads return to an upright position above their kneeling bodies, until a soldier in camouflage walks over and delivers the final coup de grace, after which their heads slump forward and their bodies slide further toward the bottom of the pole. Blood spills out of Numa’s mouth. Drouin’s glasses fall to the ground, pieces of blood and brain matter clouding the cracked lenses. 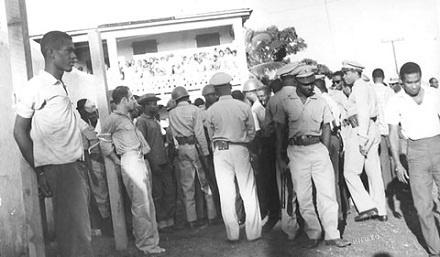 * Actually a bit of a setback for Duvalier after winning every single vote (finaly tally of 1,320,748 to 0) in his 1961 “re-election”. 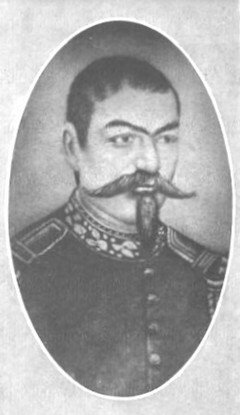 ** Drouin, who was wounded in a battle and captured for that reason, openly lamented at his execution his failure to commit suicide. On this date in 1793, Philibert Francois Rouxel de Blanchelande was guillotined in Paris — victim of two revolutions an ocean apart. Blanchelande (English Wikipedia entry | French) was a comfortable henchmen of the ancien regime, descended of a marshal. At the outbreak of the French Revolution, Blanchelande was the governor of the Caribbean sugar colony of Saint-Domingue. Like other New World colonies, Saint-Domingue’s brutal slave plantations generated vast wealth for the grand blancs, a tiny white oligopoly which was massively outnumbered by its black servile chattel. The demographics made for a perpetual source of conflict and danger — but that was the price of doing business for Europe’s sweet tooth. The promised liberte, egalite, fraternite of 1789 fell into this tinderbox like a torch. By 1791, slaves were in full rebellion. Mirabeau had once said that Saint-Domingue’s masters “slept at the foot of Vesuvius”; when it exploded, Blanchelande fell into the caldera with the grand blancs. 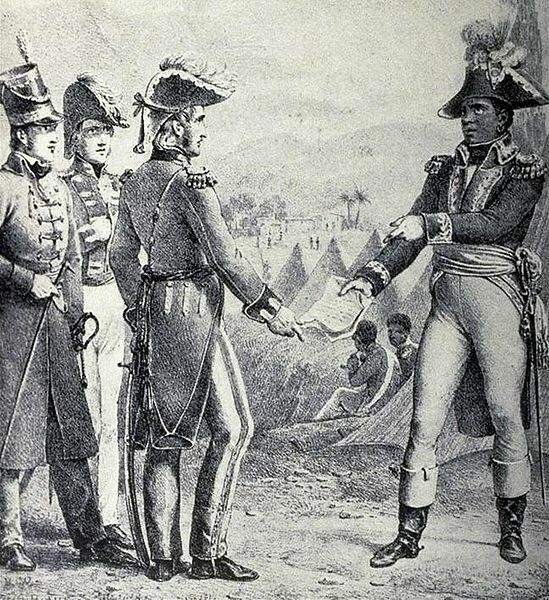 The slave rebellion quickly overran the western third of Saint-Domingue — the germ of the imminent Republic of Haiti. But the situation on the ground in the early 1790s was extremely fluid, and perilous from the French perspective: Great Britain lurked at nearby Jamaica, scheming to swipe the lucrative island away from its rival amid the chaos. So here Britain accepted Saint-Domingue’s white refugees, and there she treated with black rebels to grant their emancipation in exchange for their allegiance. The old royal hand Blanchelande was impotent to control the cataclysm with only a handful of troops, and he must have looked increasingly antiquated by the rapid progress of the Revolution too. 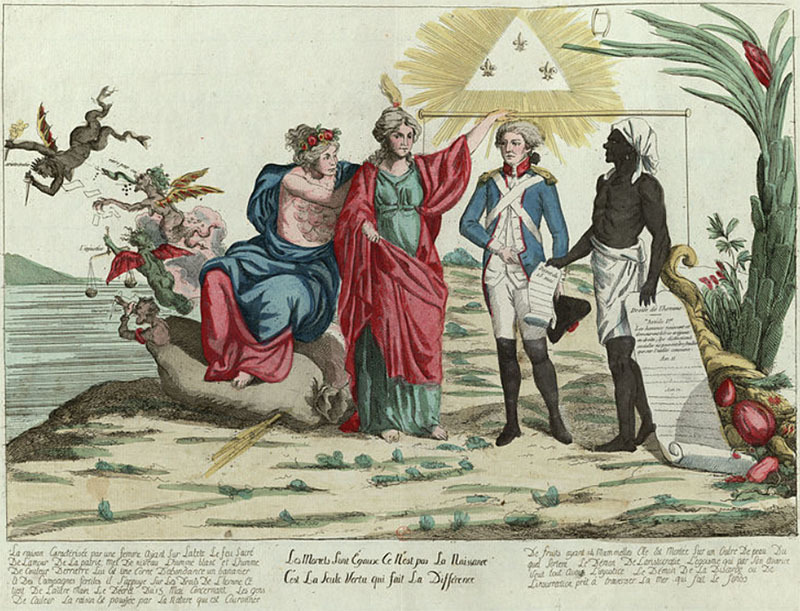 A 1792 relief force of 6,000 soldiers arrived bearing word of the National Assembly’s too-little-too-late grant of political rights to free blacks, and bearing also Blanchelande’s replacement: a Girondin envoy named Leger-Felicite Sonthonax. Both these steps were also swiftly overrun by the eruption. Blanchelande returned to Paris and was forgettably guillotined as a counterrevolutionary on April 15, 1793, not long after France and Britain officially went to war. “For losing Saint-Domingo,” Carlyle says a bit dismissively, and maybe that’s even right. But if so the loss reounded to the glory of the Jacobins. The Revolution’s ideals would soon come to mesh with the pragmatics of maintaining the allegiance of Saint-Domingue. On February 4, 1794 — 16 Pluviose Year II, if you like the revolutionary calendar — the National Convention thrilled to “launch liberty into the colonies” (Danton) with a momentous proclamation abolishing slavery throughout the empire. 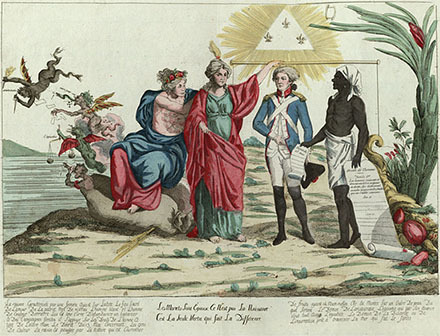 Slavery of the blacks is abolished in all the colonies … all men living in the colonies, without distinction of color, are French citizens and enjoy all the rights guaranteed by the constitution. “Les Mortels sont égaux, ce n’est pas la naissance c’est la seule vertu qui fait la différence…” (Via). On this date in 1908, the octogenarian Haitian president Pierre Nord Alexis had a number of political opponents arrested and, that very night, summarily executed. Nord Alexis, a career officer risen to the post of Minister of War in a provisional 1902 government* when the previous president Tiresias Simon Sam* resigned to avert a constitutional crisis. That was a strange affair: a misreading of the constitution had Sam set to rule until 1903, until someone caught the mistake. Sam’s diligently on-time resignation proved not the Rule of Law victory he might have hoped when the resulting power vacuum brought civil war. Prominent among the victims of the crackdown this date was the novelist and poet Massillon Coicou (English Wikipedia entry | the more detailed French). Coicou had been in the diplomatic service in France with Firmin, where the two forged a close affinity, and Coicou became a toast of literary circles. 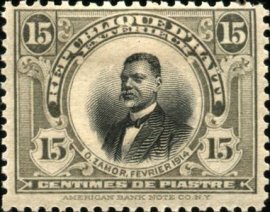 For Francophones, several of Coicou’s poems can be perused via links at the bottom of this biographical page. * Sam’s cousin Jean Vilbrun Guillaume Sam held that same office for a brief and bloody interval in 1915. ** Firmin is noted for his 1885 book De l’égalité des races humaines, which mounted a strong defense for the fundamental equality of the races, and also predicted a black U.S. president. 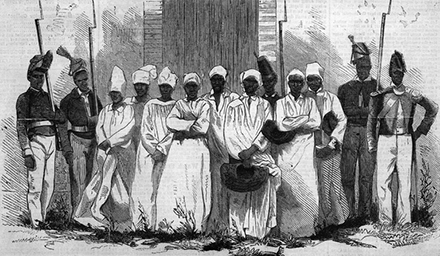 On this date in 1864, a bustling market Saturday in Port-au-Prince, Haiti was enlivened with the public executions of eight Haitians for cannibalistic murder. It was perhaps the signal event in a long-running campaign against vodou (voodoo, vaudoux) in whose service the murder was supposedly committed. The charge sheet had it that a man intent on an occult rite to propitiate the spirit world had slaughtered his own young niece and with several friends and family devoured her remains. It made for some great copy. “The eye of the law has penetrated into the midst of the bloody mysteries of this religious cannibalism, against which all the teachings of Catholicism have remained powerless,” breathed the world press in salacious revelry. Sketch of the Bizoton Affair accused from Harper’s Weekly. Within Haiti and without, vodou itself stood in the dock alongside its adherents. This was quite likely the very point of the trial. The popular syncretic religion, heavily derived from Haitian slaves’ African roots, represented to Haitian elites and European observers alike all that was most barbarous about the one place that had run white slavers off. Just a few years ago as I write this, the U.S. televagelist Pat Robertson claimed that Haiti had come by its liberty due to a long-ago pact with the devil. 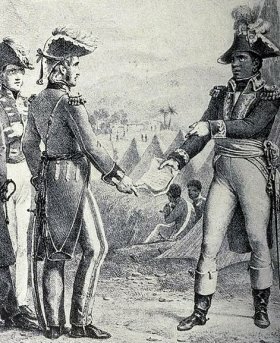 That “pact” was a secret vodou ceremony launching the rebellion that became the Haitian Revolution. Vodou persisted throughout the 19th century — it still persists today — among Haiti’s underclasses. 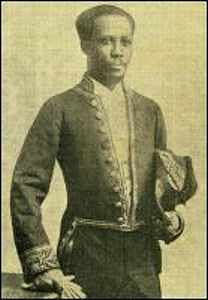 Though frequently persecuted, vodou enjoyed the support and personal devotion of Emperor Faustin Soulouque, a former slave who ruled Haiti in the 1850s. When Soulouque was overthrown by Fabre Geffrard in a coup backed by Haiti’s elites, dissociating from vodou was one of his principal tasks. St. John considered the case self-evident, and dwelt on its lurid revelations of the cannibalism scene — the flaying of little Claircine’s body, the palm of the hand savored by one cannibal as the choicest morsel. Cannibal testimony was St. John’s own choice morsel; in his view, Haitians extremely “sensitive to foreign public opinion” obstinately threw up a collective wall of silence on a practice that “every foreigner in Hayti” just knew was everywhere around him. But even when St. John published, after another 20-odd years past the Bizoton trial to gather evidence of anthropophagism, all that he managed to produce were two highly dubious second-hand accounts of white men allegedly sneaking into vodou ceremonies under cover of blackface and reporting the sacrifice of children. In the hands of Victorian writers prone to still further embroidery these few sketchy dispatches — and the notorious Bizoton case — would help to cement vodou’s sinister reputation. St. John’s American counterpart was less impressed with the show trial, its moral panic scenario, and the thrashings administered to the accused to force their confessions. It was not a fair trial; the evidence was extracted by torture. There was a report in circulation. It caused great excitement. Government took it up, and was determined to convict, because it was a seeming stain on their race. The verdict was forced. * As a consular official in a previous post on the opposite side of the globe, St. John accompanied two of the earliest ascents of Mount Kinabalu in Borneo; as a consequence, one of that mountain’s peaks bears his name. Sometime around this date in 1503, the Spanish destroyed the independent territory of Xaragua on Hispaniola in a bloodbath of native caciques — capped with the ignominious public hanging of the Taino queen Anacaona. The widow of the chief Caonabo (Spanish link), who had been captured and shipped to Spain by Christopher Columbus himself, Anacaona inherited leadership of one of the principle Taino realms of Hispaniola, present-day Haiti and Dominican Republic. Spain had the werewithal to be extremely crappy to the Hispaniola “Indians”, but it would take a few years to have sufficient presence to conquer them all. By 1503, after a decade’s slaughter and disease had decimated the native populace, villainous Spanish Governor Nicolas de Ovando was ready to dominate the whole island. Xaraqua is the Fourth Kingdom, and as it were the Centre and Middle of the whole Island, and is not to be equalled for fluency of Speech and politeness of Idiom or Dialect by any Inhabitants of the other Kingdoms, and in Policy and Morality transcends them all. Herein the Lords and Peers abounded, and the very Populace excelled in in stature and habit of Body: Their King was Behechio by name and who had a Sister called Anacaona, and both the Brother as well as Sister had loaded the Spaniards with Benefits (pdf) and singular acts of Civility, and by delivering them from the evident and apparent danger of Death, did signal services to the Castilian Kings. Behechio dying the supreme power of the Kingdom fell to Anacaona: But it happened one day, that the Governour of an Island, attended by 60 Horse, and 30 Foot (now the Cavalry was sufficiently able to unpeople not only the Isle, but also the whole Continent) he summoned about 300 … noblemen to appear before him, and commanded the most powerful of them, being first crouded into a Thatcht Barn or Hovel, to be exposed to the fury of the merciless Fire, and the rest to be pierced with Lances, and run through with the point of the Sword, by a multitude of Men: And Anacaona herself who (as we said before) sway’d the Imperial Scepter, to her greater honor was hanged on a Gibbet. And if it fell out that any person instigated by Compassion or Covetousness, did entertain any Indian Boys and mount them on Horses, to prevent their Murder, another was appointed to follow them, who ran them through the back or in the hinder parts, and if they chanced to escape Death, and fall to the ground, they immediately cut off his Legs; and when any of those Indians, that survived these Barbarous Massacres, betook themselves to an Isle eight miles distant, to escape their Butcheries, they were then committed to servitude during Life. Such is the tragical story of the delightful region of Xaragua, and of its amiable and hospitable people. A place which the Europeans, by their own account, found a perfect paradise, but which, by their vile passions, they filled with horror and desolation. The martyred artist-queen continues to inspire art of her own. On this date in 1915, Haitian President Jean Vilbrun Guillaume Sam had his predecessor* Oreste Zamor, and 160 or so of his closest proximity, executed in Port-au-Prince. Within hours, Sam himself was dead at the hands of an outraged mob — and Haiti on its way to 19 years of American military occupation. Haiti in the 1910s was a dangerous place to aspire to political authority; Sam was the 7th different man to hold the presidency since 1911. Like many others, he gained it by force, and held it tenuously against rivals who planned to do likewise. 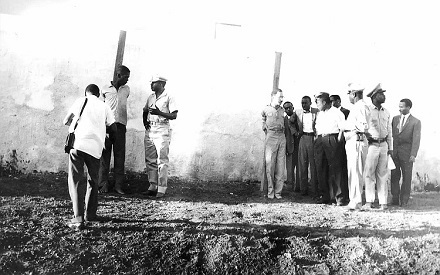 The hecatomb that did in Sam, who had been head of state for less than five months, was seemingly intended to shore himself up in the face of an advance upon Port-au-Prince by one Rosalvo Bobo — or else just done for the principle of the thing. Either way, it left a mess. An incensed mob invaded the French embassy (where Sam had taken refuge) and literally tore apart the president. As a happy side effect, the American occupation froze out French and German commercial interests who had made Haitian inroads, secured debt repayment from the bankrupt country, and allowed Washington to reorder its neighbor to its liking. * Zamor was not Sam’s immediate predecessor; rather, Sam had deposed the man who had deposed Zamor. people, all of whom, less the native ruling class, a small group, recognize the benefits of the American occupation and are grateful for the peace and security they now enjoy … The United States, [Admiral Knapp] says, has only made a start for the good of Haiti, and five years of healing occupation would be lost if the Americans withdrew.